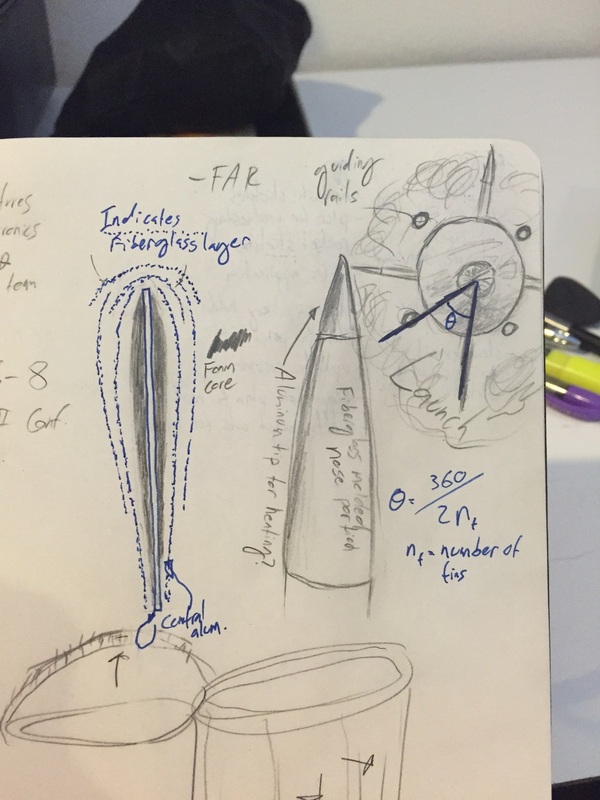 some initial sketches I made to better understand the layout and vision of UCSD's SEDS newest rocket project. Two layers of fiberglass with overlap for leading edge of the fin. it might be better in practice to do is to separate pieces rather than four separate pieces. General system overview. One key feature will be an external parasitic shroud covering up the pneumatic lines that run from the fuel an oxidizer tank the rocket engine. The configuration and extent of the cup recovery system will have to be determined once the recoverable weight of the rocket is known, but I'm expecting around 4 foot drogue a 12 foot main parachute.